Your vacation rental property could serve as an incredible asset. Not only can it provide you with an added source of income through renting it out to visitors and tourists, your vacation rental property stands as a real estate investment — one that could definitely appreciate in value over time. However, the non-recourse loan lenders at First Western Federal Savings Bank know that this type of property is like a garden: you could have all the seeds and all the land, but if you don’t put the proper time and effort to it, nothing will grow. We have some tips to help you utilize your non-recourse mortgage to its fullest extent, and are happy to share some ways that you can maximize the potential of your vacation rental space. 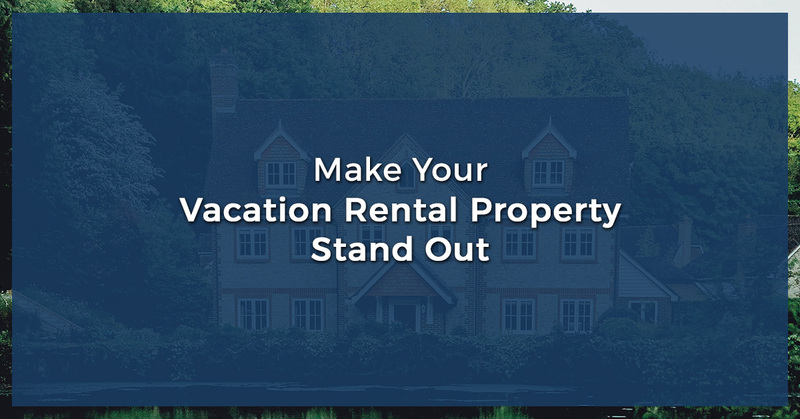 See some of the ways you can make your vacation rental property stand out, and get in touch with our non-recourse loan lenders to get your real estate investments underway! As we’ve mentioned in the past, buying a fixer upper is not ideal if you’re trying to turn this property into a rental. For starters, non-recourse mortgages only are applicable for properties valued $70k or higher, and cannot be used for the purposes of construction. Additionally, you won’t get to make money off of your property in a timely fashion with a fixer upper, because you’ll need to front some hefty funds to make the space a livable one. Before you can think about making your vacation rental property a standout, you need a property! And the only way to ensure you’re investing in a property that can be turned into a rental sooner (thus generating you a profit sooner, as well) is by acquiring a higher value house or condominium, and one that requires little to no structural work. Ideally, the shell of this house already has incredible flooring, impeccable cabinetry, or has great potential for decorating and designing to your heart’s content. This will lead you into the land of renting out property at a more expedited pace — a pace which both your guests and your bank account will appreciate. You might get really lucky and find a Snow White-esque cottage on the bank of a river for sale (seven dwarves not included) that just screams “vacation rental.” Most of the time, however, you’re bound to find a nice abode in a relatively decent location, and you’ll see it for its true potential. In the age of social media, posting pictures is everything. A property that might otherwise seem fairly ordinary can be enhanced by adding something quirky or eclectic to the mix. Many people will go for a slightly more out-of-the-way vacation rental, if it means getting to add some awesome photos to their Instagram or other social media accounts. A cool, backyard treehouse that’s catered to adults is sure to catch anyone’s eye. An elaborate flower garden with tons of great spots for people to take pics is always ideal. A pasture with baby goats or other small farm animals might pique many an animal-lover’s interests. Adding a photo-friendly element to your space makes up for not being in a perfect location, and can still attract visitors. Living in Arizona or New Mexico? Create a space that plays off those desert vibes. Near the dense forests of the northwest? Make your rental property one that satisfies the interests of those looking to disconnect from life and reality for a minute. Close to the mountains? Go for a snow sport theme, and highlight nearby cross-country skiing and snowshoeing trails. Your rental property doesn’t have to be in an incredibly popular location in order to spark curiosity and intrigue by visitors. Design is an important part of making your vacation rental property stand out, and an element that we’ll cover more extensively in a future blog. As impressive and appealing as a well-designed place is, you can offer services or options that your competitors are not, in order to set yourself apart. If a big event is coming to your area — such as ongoing headlining bands at an amphitheater, or massive sporting events like the Super Bowl — offer a shuttle service to guests. Your property will already be in higher demand, and this type of service is what makes you different from the rest. No big things happening near you? You could consider offering a class, such as teaching how to make pasta or arrange succulents. For another idea, you could make your house into the ultimate escape. Create a movie room and fill it with top-of-the-line pillows and blankets, or provide guests with everything they need to make an amazing fort. Some of these ideas might sound silly, but people love experiences that are unique and original. If you make your space into one where the space itself becomes the destination, you’re bound to attract many visitors to your vacation rental property. In a future post, we’ll cover some of the ways in which you can make your vacation rental property stand out, but in the meantime, know that the non-recourse loan lenders from First Western Federal Savings Bank are the team you need for real estate investments. By the use of your self-directed IRA in tandem with a non-recourse loan, you can acquire a property to turn into a rental. This financial opportunity could open many doors for you, and our team of non-recourse loan lenders would be honored to help. Contact a member of First Western Federal Savings Bank today!